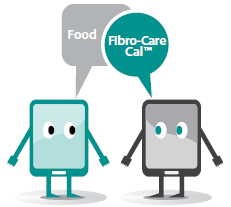 Have YOU tried the NEW Fibro-Care Cal™? Now with more nutrients, fewer tablets and lower price! TRAACS® ~ Double the absorption of citrate & 4 times more than oxide! Other Ingredients: Microcrystalline Cellulose (vegetable), Magnesium Oxide, Croscarmellose Sodium, Stearic Acid, Aqueous Coating, Magnesium Stearate, Silica, Modified Cellulose. Manufactured without egg, wheat, gluten, milk, sugar, sweeteners, salt, wax, artificial coloring or preservatives. Color may vary. Suggested Use: As a dietary supplement, take 2 tablets two to three times daily or as directed by your healthcare professional. Most people with fibromyalgia (FM) have impaired mobility and thus may get less sunshine from outdoor activity. These two factors put them at risk for osteoporosis (OP), propose authors of a study of 50 Egyptian women with primary FM. When compared to 50 age matched controls, the FMers had lower lumbar bone density on x-ray exam and significantly lower vitamin D levels. Additionally, those with below normal D levels of 20 ng/ml had impaired short term memory, sleep disturbance and restless leg syndrome. The lower the level, the more pain and degree of lumbar demineralization. This study "confirms a high prevalence" of low vitamin D among primary FM patients per study authors, putting them "at risk" for OP. "An early nutrition program rich in calcium and vitamin D, appropriate exercise protocols, and medical treatment should be considered" to prevent OP development. Source: Rheumatol Int 1/13. For vegans and dairy sensitive individuals, calcium supplementation is one way to bridge the nutritional gap to maintain healthy bones. Few studies have done a comparison for which source is better. Using a radioisotope to measure bone resorption, researchers found out it's a tie. The small study paired either 1200 mg calcium from food or supplements with 400 IU vitamin D3 for 6 weeks. After a 2 week washout period, the groups were switched for 6 more weeks. Calcium retention increased with both forms of intake and decreased within 1-2 weeks of discontinuation. Bottom line? Consistent intake is key to good bones, as well as the required cofactors. Source: Bone Rep 5/16. Editor Note: Don't forget magnesium is required for calcium absorption, and you'll need less calcium if you take organic Albion found in TyH's Fibro-Care Cal™. I've used this product for almost 15 years it has really help my fibromyalgia pain for 30years. I've experimented with stopping it a couple times & my pain always increased. 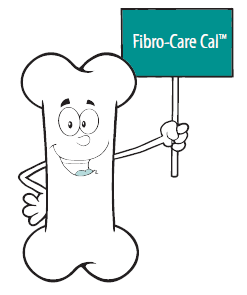 I went with the fibrocare with calcium after I stared menopause & my bone tests at 64 show great bones. Wouldn't be without this product!!!! Thank you all at TyH! Since taking the Fibro-Care Cal™ just 7 days now I have noticed a huge difference with decreased fibro pain over all. Vitality here I come! A friend recommended Multi-Gold™ for my fibromyalgia pain. It wasn't long before I saw a difference in the pain level. I also use Fibro-Care Cal. It really helps me live a more normal life. I have found the perfect recipe for me and my fibromyalgia!! I have been diagnosed since 2011 and have been trying ever since to find the right combination of calcium/magnesium and malic acid. It was terrible finding not only the right combination but the right combination of the RIGHT minerals etc all in place. Well, this is it! and I am so happy that I found it and it WORKS!! My dad recommended your company to me. I take the Fibro-Care Cal™ as well as Fibro-Care™. My leg cramps at night have finally gone away! I had a very strange thing happen to me. I ran out of the Fibro-Care Cal™ and about that time started having hot flashes. This lasted for about 3 weeks. I ordered more Fibro-Care Cal™ and began taking it and with in a week the hot flashes seem to have gone away. Anyway, I appreciate your products; they seem to have made a difference in my life. I was 35 and felt 95. Fibro-Care Cal™ made me feel my age again!!! I've been taking four Fibro-Care Cal™ daily for years which made a big impact on my energy level. Then I started to feel weary and droopy. So I took two more Fibro-Care Cal™ for a while and it worked! I slept better and just felt better. 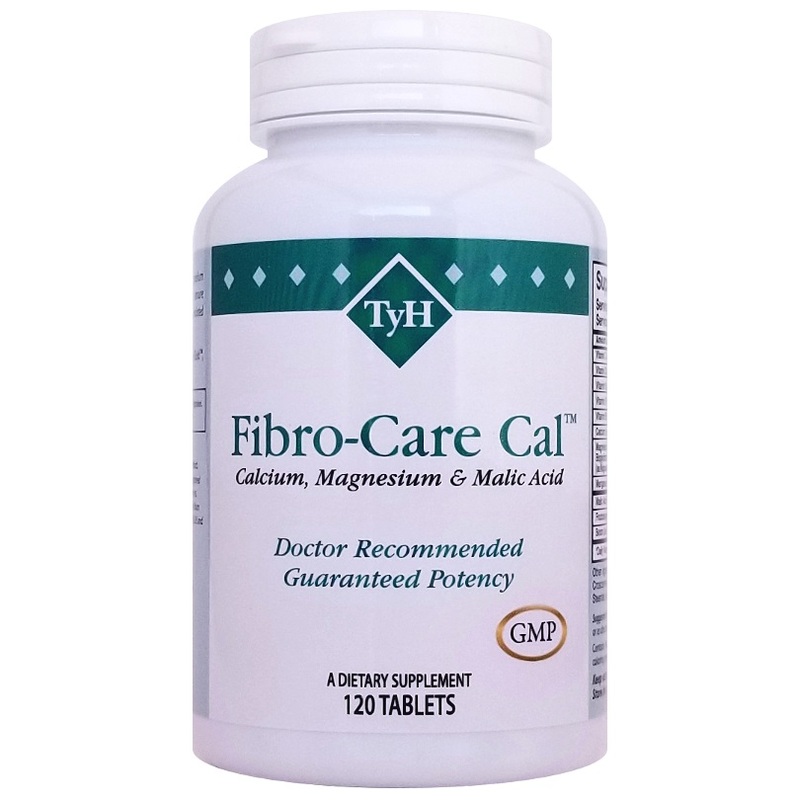 Fibro-Care Cal™ is my favorite TyH product. I have taken all kinds of calcium/magnesium supplements over the years and always had stomach upset or diarrhea from the magnesium. Fibro-Care Cal™ is the first calcium/magnesium I have taken that does not contribute to either symptom. I can tell my skin, hair, nails and sleep are improved. The ratio of calcium/magnesium is finally what I have been looking for; so glad someone finally got it!